“Witches of East End” stars Emmy award-winning Julia Ormond (Temple Grandin) as Joanna Beauchamp, an ageless mother trying to keep a supernatural secret from her daughters, Freya (Jenna Dewan-Tatum; Step Up) and Ingrid (Rachel Boston; (500) Days of Summer) so they can lead a normal life. 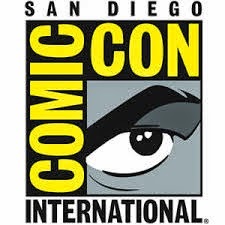 But when Joanna’s estranged sister (Mädchen Amick; “Twin Peaks”) arrives to warn her of an evil entity out to destroy them all, Joanna is forced to reveal the truth about her family’s magical legacy. 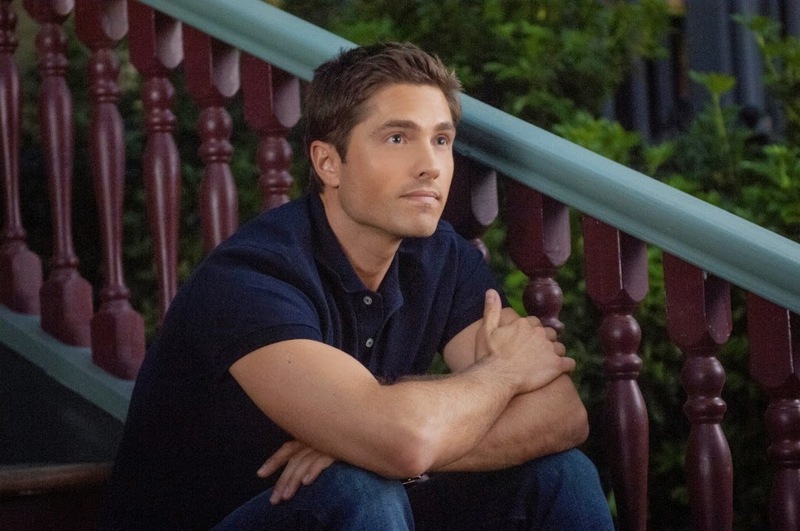 Co-starring Virginia Madsen (Sideways), Eric Winter (“Days of Our Lives”) and Daniel DiTomasso (“Beauty and the Beast”), this powerful and enchanting drama series will cast its spell on you! 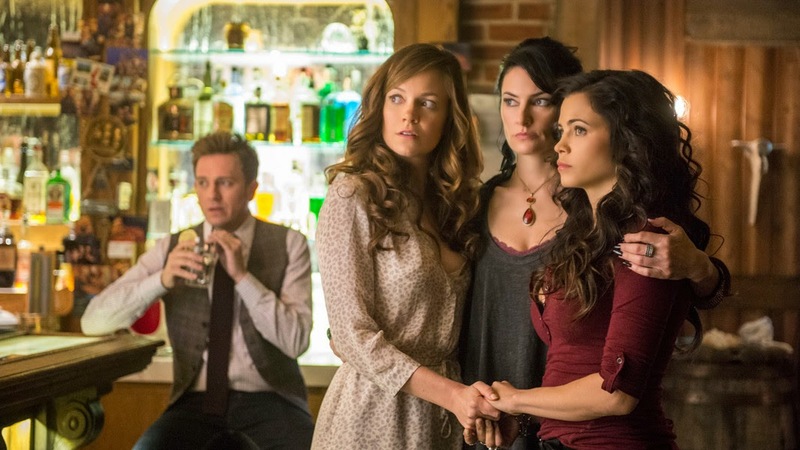 Witches of East End is a fun drama about a family of witches in a small eastern town. The Beauchamps have been around for centuries – Joanna, the immortal mother of Ingrid and Freya, and Wendy, her sister who has nine lives and can shape shift into a cat. Freya is engaged to Dash Gardiner, a handsome doctor, and Ingrid is the town librarian – quiet and unassuming. Freya and Ingrid have no idea they are witches until their Aunt Wendy arrives in town and Joanna is arrested for murder. As Freya and Ingrid begin learning their craft, dark forces are also at work – a shape shifter is in town causing trouble for the Beauchamps, Freya’s relationship with Dash is placed in jeopardy when his mysterious brother, Killian, returns to town and Freya feels a strange pull to him. Freya does her best to deny her feelings for Killian, but they keep getting drawn to each other. Ingrid is reluctant to embrace her powers, but after tragedy strikes, she begins accepting who she is. Her past lives are more secretive and when she finds out, she realizes she was not always the good and sweet Ingrid she is in this life. Ingrid does her best to help Joanna, Wendy and Freya and complete their circle of four, but eventually, she is manipulated into the dark part of the magic that Joanna so desperately tried to keep her daughters from. Joanna and Wendy cast spells to find out who the shape shifter is, but all their efforts are in vain as the shifter seems to always be one step ahead of them. Wendy, with her remaining lives dwindling finds a spell to help Joanna with her murder charge and along the way meets Leo, a handsome man who has just what she needs to make the spell work. Joanna, realizing that she can’t protect herself and the girls on her own finally gives in and allows the girls’ father to assist. One the day of Freya and Dash’s wedding, all hell breaks loose and the walls between worlds come tumbling down. I was skeptical about this show when I first heard about it. But after being told by a couple family members that it was good and I should give it a chance, I decided why not. I was pleasantly surprised at how much I enjoyed watching it. The acting was good, even though, sometimes, Julia Ormond bothers me. Jenna Dewan-Tatum was surprisingly good and I spent half the series trying to figure out where I knew Rachel Boston from. All the women were believable in their parts and they made a really good family. They were caring, funny, and resourceful and I really liked watching the series. The widescreen 1.78:1 presentation of Witches of East End was very good. The colors were bright and blended well together and the black coloring in both the night scenes and other scenes was good. Skin tones were natural and eye color was especially bright – it was hard not to notice the bright green and bright blue eyes of the characters. 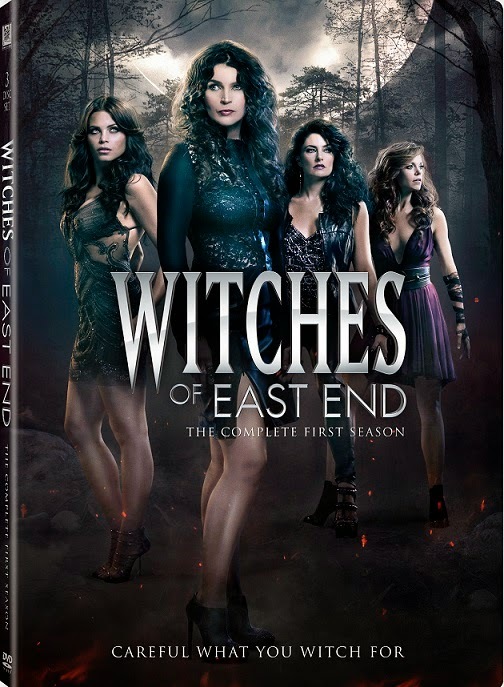 Witches of East End is presented in English Dolby Digital 5.1, Spanish Dolby Digital 5.1. The sound was good and mostly clear and I didn’t have to adjust the volume. While not perfect – there were moments when there was some mumbling – it was good for a television show. Subtitles in English for the deaf and hard of hearing, Spanish, French and Portuguese are also available. These special features were disappointing. I was excited to see a gag reel, but because it was so short, I felt it was a waste and unneeded. The behind the scenes feature was good and I did enjoy watching that. Falling Under Their Spell – A behind the scenes look at the show with cast and crew interviews. Deleted Scenes – Four deleted scenes from the series. None of which needed to be left in. 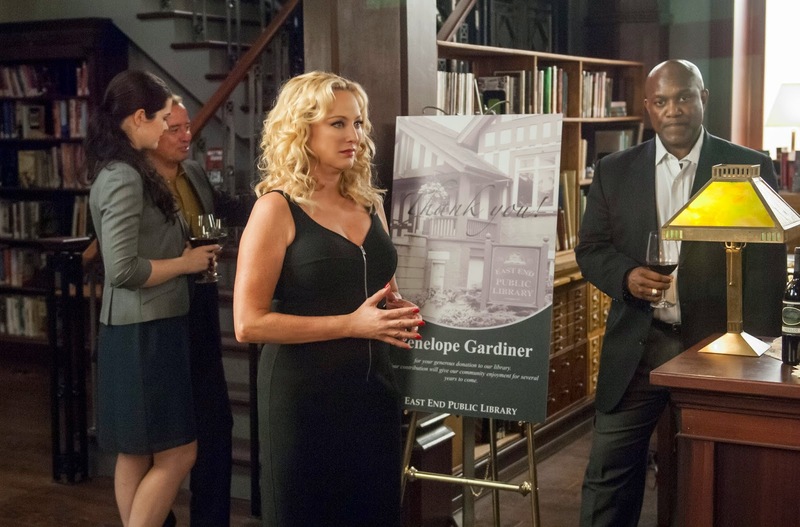 Gag Reel – One minute of bloopers from filming. I don’t even think it was worth including as it was so short. Cat Blooper – A blooper using the cat with commentary explaining the process. This was stupid and definitely didn’t need to be included as a special feature. If not for the low score of the special features, the score for Witches of East End would be a solid four out of five stars. The storyline was interesting, the acting was not half bad and I found myself engrossed in the goings on of the Beauchamp’s small town lives. I happily admitted to my family members that they were right and I really enjoyed this series and have already set the DVR for season two!